Is the cost of data management heading south? Have you had a discussion with a client considering moving away from inefficient data management processes or a client looking to implement a transformation project? If you have, my guess is, pricing must have been a thorny issue. One would then ask why such organisations stick to the ‘tried and tested’ procedures that are quite expensive. In the past few years we have seen the rising interest in Open Source. This has been fuelled by the popular belief that you can possibly get value for money at a reduced cost. The idea of Open source in relation to technology has long been in existence but the idea of Open Source in relation to data integration is a new concept. Open Source is not just about giving access to source code, it also involves free redistribution of applications. Some offer both free distribution and a licensing option. 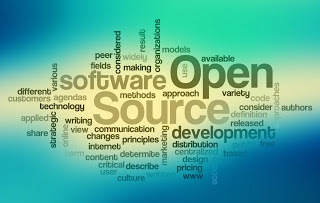 I recently attended a dialogue session focussed on Open Source and it is evident organisations are beginning to look and explore the gains Open Source has to offer. Coming from industry chieftains, who constituted the panel at the session, within the private and public sector it certainly is a good sign for Open Source evangelists. So, why has it been difficult for Open Source to really take flight? During the dialogue session, the reasons were not in short supply. The reasons ranged from contractual agreements between System Integrators and clients to risks involved in implementing integration projects using ‘non-mainstream’ applications. Members of the audience, of course, did counter the argument for, citing the government’s cost-saving drive as a big enough incentive. Some also, did point out the superiority of some Open Source products, in terms of functionality, over closed applications. Looking at Open Source within the Data Integration arena Talend easily comes to mind. Talend, a Paris based software house, offers an Open Source Data Integration tool with a free standard edition version and a subscription version. The company publishes the code of its core modules and offers developer community the ability to improve the product. Nevertheless, Talend R&D drives the road map/strategy. Talend seems to be succeeding in its awareness drive which has seen it sign-up a number of clients in the private and public sector. It must be added their Data Integration tool is effective. As with every evolving concept there are positives, to build on, and negatives, to address. – Intellectual Properties issues: Who owns what? – Who reaps the financial gains from the sale or use of the product? – Costs: The reduction in costs associated with Open Source weighs heavily in its favour. – Easy access: Free versions are available on-line. While the evangelists of Open Source proclaim the philosophy according to Open Source we have to remember it has to be judged based on its merits and not just on costs.